Chekhov’s masterwork about the breakdown of a family held together by a tissue of lies and self-deceptions is brought to stunning life in Konchalovsky’s brilliant adaptation. 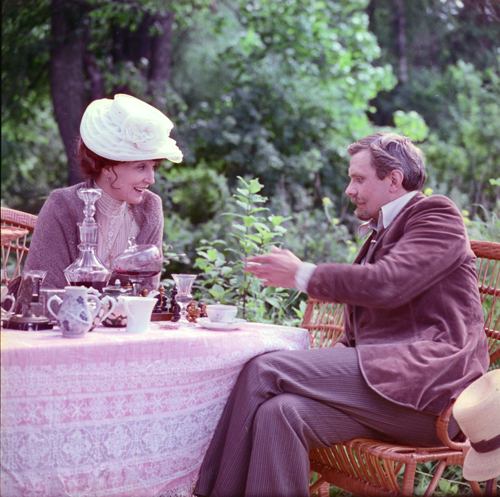 Astrov (Sergei Bondarchuk), a retired professor, returns to the estate that he inherited from his now-deceased first wife with his new, much younger wife Yelena (Irina Miroshnichenko) in tow. The estate is still managed by his former brother-in-law, Vanya (Innokenti Smoktunovsky), a man who has learned to sublimate all his personal desires and dreams. The delicate balance that defines the world of this fading clan is decidedly upset by the arrival of Yelena, and once broken, that balance will prove impossible to restore. “The best Uncle Vanya I’ve ever seen.”—Woody Allen. “An exceedingly graceful, beautifully acted production that manages to respect Chekhov as a man of his own time, as well as what I would assume to be the Soviet view of Chekhov as Russia’s saddest, gentlest, funniest, and most compassionate revolutionary playwright.”—Vincent Canby, The New York Times. A bold, modern updating of Chekhov’s story, WARD NO. 6 is based on an actual incident, in which the director of a mental ward winds up becoming a patient on that very ward. The gradual estrangement of Dr. Andrey Ragin was used by Chekhov as a metaphor for a man’s disappointment with the promises of science; in Karen Shakhnazarov’s version (based on a screenplay he co-wrote with Alexandr Borodyansky), that disappointment might be read as an increasing loss of faith in the nation’s future. Shot in a real asylum in a vibrant, documentary-like style, the film was made in record time (only four weeks), and has gone on to be a major box office and critical hit in Russia and was this year’s Russian submission for the Best Foreign Language Film Oscar. “Fragmenting Chekhov’s descriptions and putting them into the mouths of characters in mock interviews, juggling chronology, inserting silent home movie footage and finally abandoning narrative altogether, the helmer deconstructs Chekhov to dazzling effect.”—Variety. One of the watchwords of nineteenth-century literature was “realism,” referring to a style which focused on the triumphs and tragedies of unremarkable, rather everyday people. Chekhov was very dedicated to promoting an idea of realism in his theatrical work, and to better serve his plays, the Moscow Art Theater under Konstantin Stanislavsky, with whom Chekhov’s work was closely associated, developed a new approach to acting that later became known in the United States as “method acting.” Karasik’s lavish production of THE SEAGULL features the work of some of the Soviet Union’s finest stage actors of the time. Presented with great attention to the historical moment, Chekhov’s study of an actress, Arkadina (Alla Demidova), is the story of a woman distressed by a life that seems to offer her few easy answers. Her lover, Trigorin (Yuriy Yakovlev), a pompous yet nevertheless successful writer, feeds her insecurities while toying with the emotions of a young woman smitten with him—or at least with his reputation. Join us for a pre-film performance by Compass Repertory Theatre. 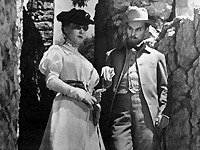 Deeply atmospheric and beautifully shot, Emil Loteanu’s very popular adaptation of Chekhov’s novel “The Shooting Party” takes place in the 19th-century Russian countryside where a story of crime and passion unfolds. Beautiful but poor, young Olga is forced to marry elderly Prince Urbenin. She enjoys her husband’s wealth and passionate love, but a younger friend of his, detective Sergey Kamishev, steals Olga’s heart. Torn between love and money, Olga promises her heart to Sergey, but bounces back to her older husband. Obsessed by passion and jealousy, Sergey is pushed beyond his limits. A top-drawer Soviet-era production, A HUNTING ACCIDENT depicts Russian aristocracy in its most decadent glamour. The stellar performance of Oleg Yankovskiy (Sergey), the late Tarkovsky star, is a joy to behold. Music by Evgeniy Doga adds to the film’s unforgettable atmosphere. 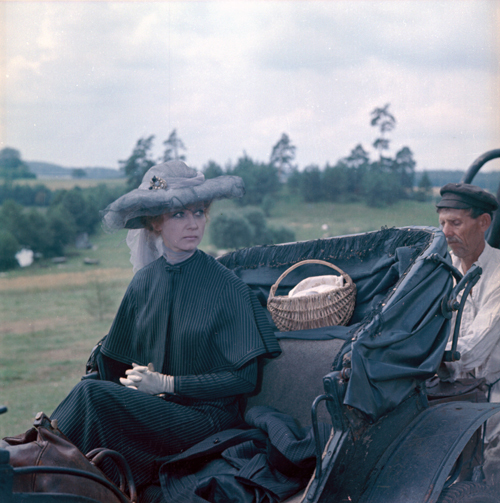 Based on one of Chekhov’s loveliest, most wistful stories, this tale of a holiday affair begins as Moscow banker Dimitri Gurov (Alexei Batalov) spies a beautiful young woman, Anna (Iya Sawina), walking her dog in early 1900s Yalta. Each is caught in a problematic marriage, yet each is reluctant to embark on an adventure that could turn their carefully controlled worlds upside down. After their summer holidays in Yalta, both return home, but then a chance appears for Dimitri to make a trip to Anna’s hometown. Was what they experienced a passing fancy—or a chance for fulfilled lives? Kheifitz creates a rich period portrait as well as a brilliant study of passion deferred, as the star-crossed Anna and Dimitri become vital, complex characters as well as representatives of their era. Based on two works by Chekhov, the play “Tatiana Repina” and the short story “Difficult People,” CHEKHOV’S MOTIVES is a fascinating diptych, two parts that share characters but on the surface little else. The film begins as a young man returns to his small village to borrow money, a request that sets off a bitter confrontation between him and his father. The long-suffering wife and mother can do little but look on. Muratova powerfully captures the emotional rawness of this generational confrontation, exposing a wide array of issues and prejudices. When the son runs out of the house, he detours to a wedding service taking place in the local Orthodox Church. The groom is an overweight opera singer and the bride and her family are grotesque examples of Russia’s nouveaux riches. Yet the point here is less satire perhaps than Muratova’s meticulous rendition of the entire ceremony, denying us a comfortable distance from which to judge these characters by immersing us in their world. 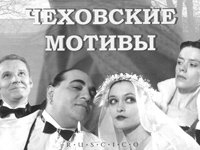 Evoking the tenor of a Chekhov comic tragedy (his works, including the unfinished play “Platonov,” inspired the original screenplay for the film), AN UNFINISHED PIECE FOR A PLAYER PIANO is an understated, elegant, and compassionate articulation of personal disappointment, emotional resignation, and regret. Early in the 20th century, family and friends gather at the country estate of a general’s widow, Anna Petrovna. 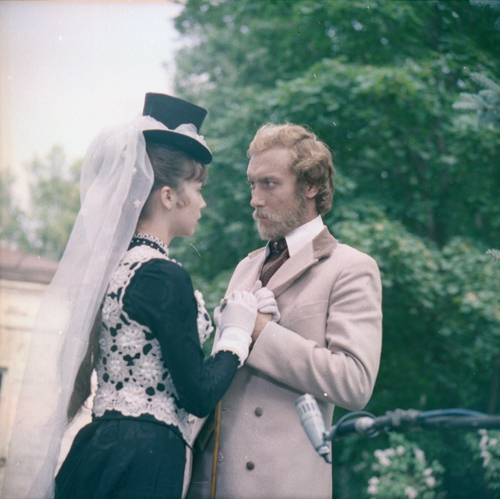 Sofia (Yelena Solovey), the new wife of Anna’s stepson, recognizes Misha (Alexander Kalyagin), the brother-in-law of one of the widow’s admirers: a few years earlier, they had been idealistic lovers, and now she can’t believe he has settled for a dim wife and a job as a teacher. Amidst parlor games and idle talk of women’s rights and peasants’ capabilities, Sofia and Misha rekindle their love. Will they flaunt convention, abandon families, and run away to pursue lost dreams?